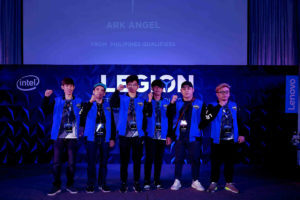 Lenovo and Intel’s Legion of Champions III 2019 ended with a bang as Team Awe Star from Korea finished at the top of the podium. Lenovo, the world’s leading PC and smart device manufacturer, saw its Legion of Champions Series III (LoC III) Grand Finals come to the end of its journey in a spectacular fashion, with team Awe Star from Korea, lifting the championship trophy in triumph as part of their first LoC tournament win. The annual eSports tournament, held recently in conjunction with Intel, pulled in an impressive crowd, bearing witness to the intense competition that unfolded over the last three days. Check out www.legionloc.com/live_stream.php for final rankings. Be Ready For Gala Night on May 25, 2019!